Anirban Lahiri and his close friend S Chikkarangappa, were in tied lead with Kalem Richardson, Scott Vincent and Sutijet Kooratanapisan. 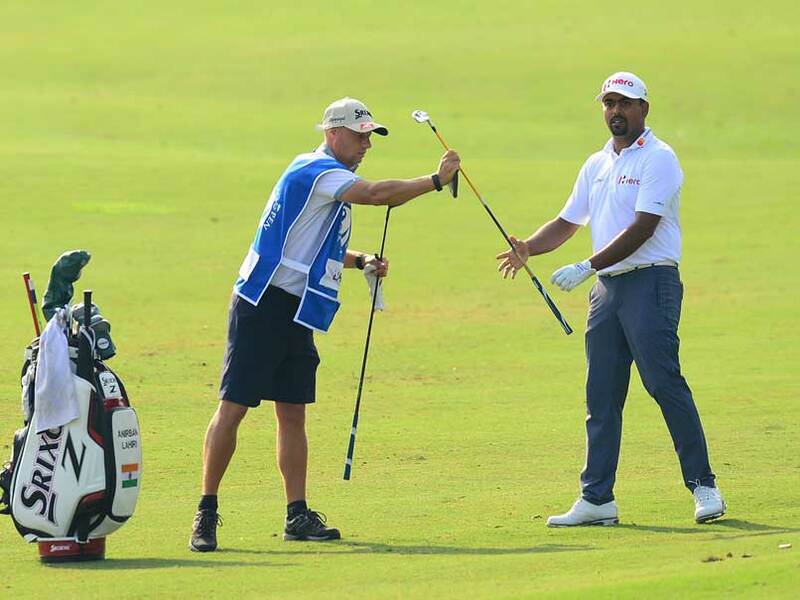 Indian golfers Anirban Lahiri and S Chikkarangappa turned in contrasting second-round cards but were among the five who shared the lead at the USD 1.1 million Venetian Macao Open here on Friday. 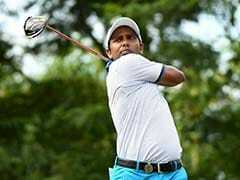 Lahiri, the reigning No, 1 in Asia, and his close friend Chikka, were in tied lead with Kalem Richardson, Scott Vincent and Sutijet Kooratanapisan. The five are at eight-under 134. Making it a great day for India, were Rahil Gangjee (69), Chiragh Kumar (70) and Shankar Das (67), who were Tied-11th at five-under 137. Rashid Khan (69) was Tied-19th, while Jyoti Randhawa (71) and Khalin Joshi (70) were Tied-31st and Arjun Atwal (71) was Tied-51st as was Daniel Chopra (67). SSP Chawrasia (70) and Gaganjeet Bhullar (69) also squeezed inside the cut at one-over 143. Amardip Malik, Shiv Kapur, Abhijit Chadha, Himmat Rai and Shubhankar Sharma missed the cut. Lahiri, winner here in 2014 and runner-up in 2013 and 2015, chose to play here instead of Europe and US this week, to get himself back into for form and rhythm. He shot a three-under 68, despite a shocking eight on par-5 12th after starting on tenth. The gritty Indian battled back to par as he birdied the 13th, 17th and 18th. On the second nine, the front of the course, Lahiri eagled the par-5 second, birdied fourth and sixth, though he bogeyed fifth for 68 to go with his flawless 66 on first day. Chikka, who had a 69 on first day, was in splendid form with a six-under 65, that included four birdies on front nine, a bogey on par-5 12th and another birdie on 16th and a closing eagle. 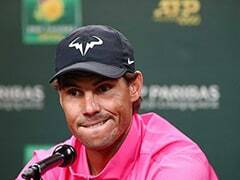 The 29-year-old Lahiri, said, "Obviously not the start I was looking for (with the triple bogey) but I was confident if I could claw myself back, I could put a score together. (at the) end of the day, I'm still a bit disappointed I didn't birdie one of the last three holes. However, I'm happy to keep myself in it." Lahiri, who played mainly in the United States this season, was happy close friend Chikkarangappa also fought his way into contention. "We're always going to be friends, but on the course, we want to beat each other. He knows it, I know it. For 10 years now, whether it's a dollar bet or a lunch bet, a bet is a bet. We're both competitive." Chikka, who has registered two top-10s in as many weeks, credited his hot putting for his run, eagling the last hole from eight feet. 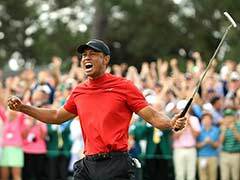 "The key was putting although I did hit some good wedge shots in," said the 23-year-old, who needed only 24 strokes on the putting surface. Co-overnight leader Ian Poulter scrambled to a 73 to fall three shots off the pace in his first tournament back from injury while title holder Scott Hend fired a 67 to lie a further stroke back.